Rookie Spartan rowers are discovering their passion for sport, working on their strength, conditioning and technique during tough daily workouts. There is no off-season, just because it is cold outside. MSU rookie rowers train on erg machines inside Demonstration Hall on campus. EAST LANSING, Mich. – A majority of college athletes have been practicing and perfecting their athletic skills since they were young. Rowing is a bit different, especially for the athletes on Michigan State’s men’s rowing club. Most of the Novice team are new to the sport. Very few high schools have rowing teams, which makes this season an adventure for most incoming freshmen. 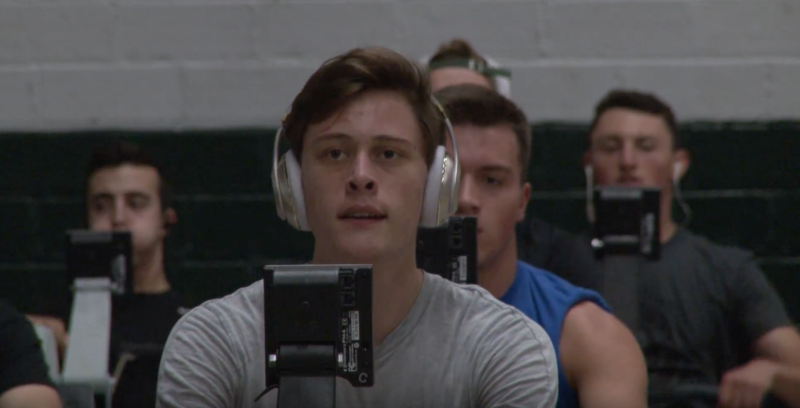 We stopped by their practice in Demonstration Hall at MSU to get a closer look at their off-season training, and how they are trying to learn to become stronger Spartan rowers.